Cook linguine according to package directions. Meanwhile, trim 1/2 in. 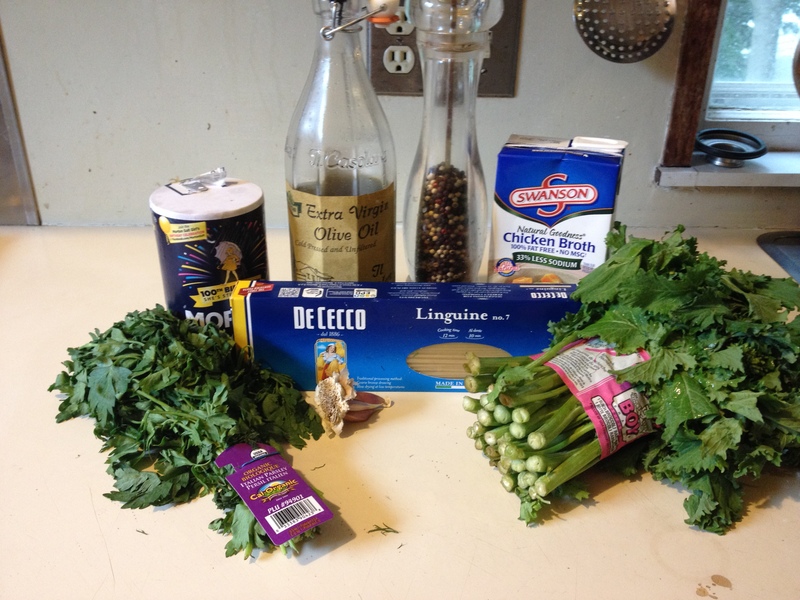 from broccoli rabe stems; discard any coarse or damaged leaves. 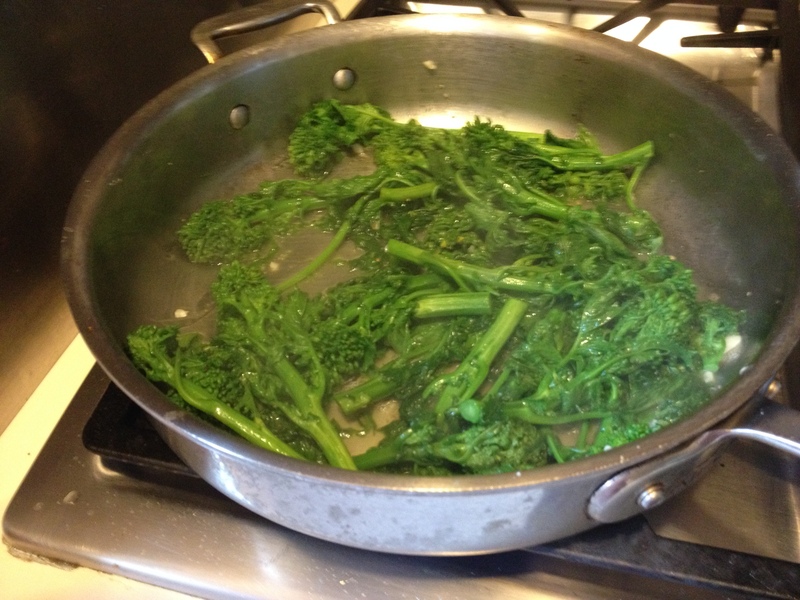 Rinse broccoli rabe in cold water and cut into 2-in. pieces; set aside. In a large skillet, saute garlic in oil for 1 minute. Add the broccoli rabe, salt, pepper, pepper flakes and 1/2 cup broth. Bring to a boil. 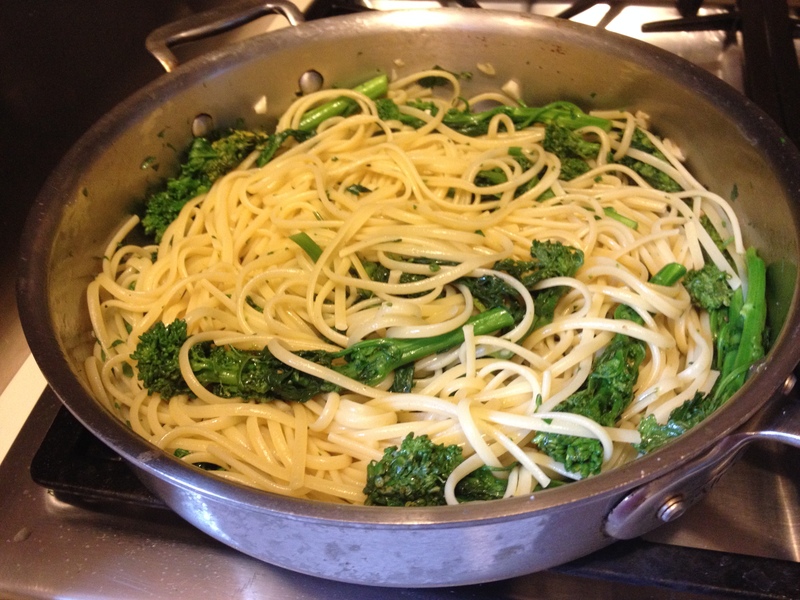 Reduce heat; cover and cook for 3-5 minutes or until broccoli rabe is tender. Drain linguine; add to the pan. Stir in parsley and enough remaining broth to moisten the linguine.